Dubrovnik is one place on everyone’s Croatia itinerary when they start planning their trip to this gorgeous country that is completely worthy of visiting. There’s good reason for wanting to visit too, there are a ton of things to do in Dubrovnik. 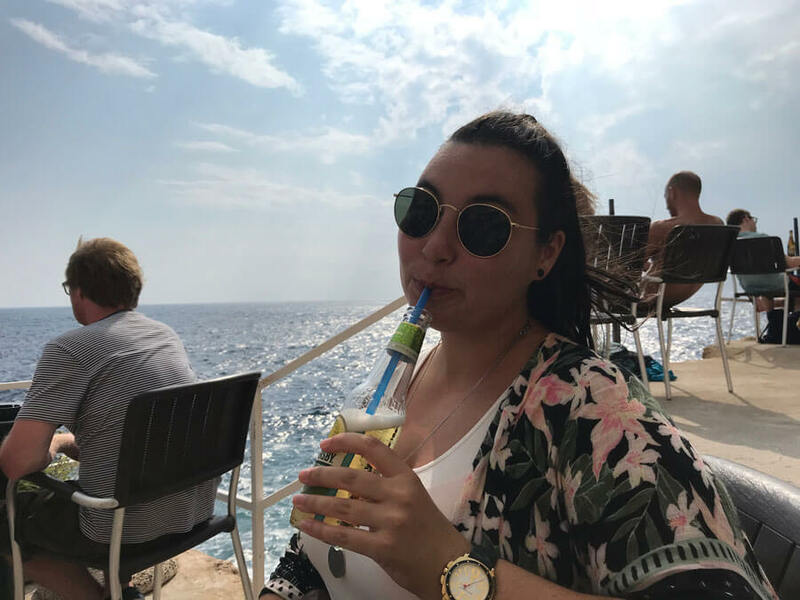 The city is the perfect place to jump off and explore the Croatian islands, it has one of the countries main airports and it’s just a hop, skip and a jump to either Montenegro or Bosnia & Herzegovina. 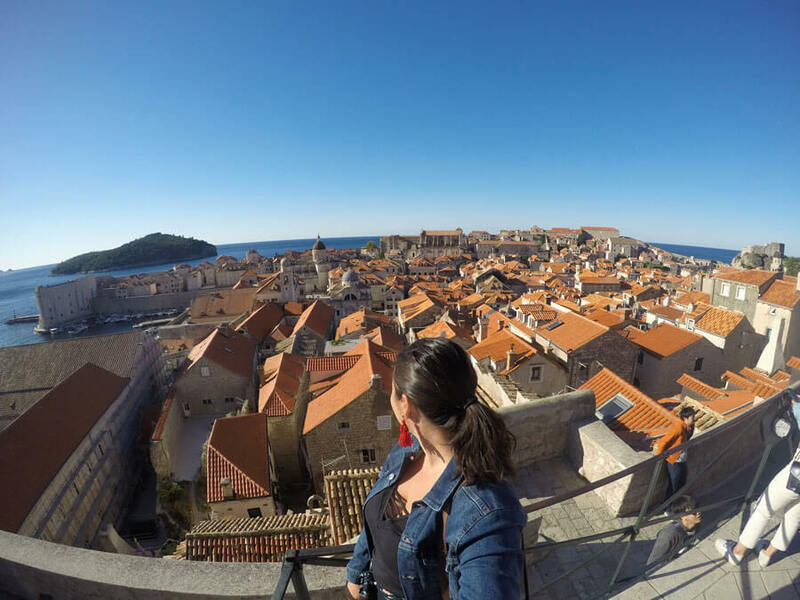 The Old Town is breathtaking and there is rich history here, pretty architecture and like the rest of the Dalmatian coast, drool-worthy food. 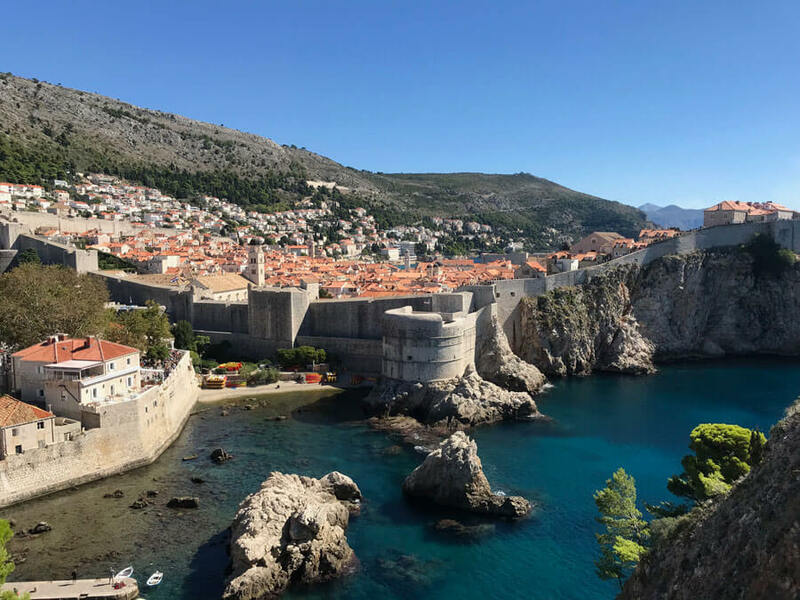 I don’t need to sell you on visiting Dubrovnik, it’s a must-visit and with these top things to do in Dubrovnik I know you will have a trip that is epic. 3 Heading to Croatia? You’re going to want to read these posts. 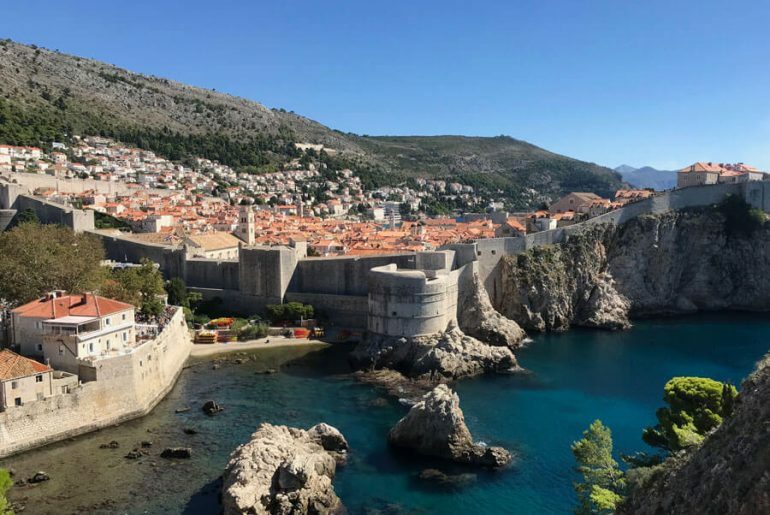 Discover what to do in Dubrovnik for an awesome few days or even week in one of Croatia’s best cities. One of the top 10 things to do in Dubrovnik is to walk along the city walls. Walking along Dubrovnik’s UNESCO city walls are the highlight of what to do in Dubrovnik. The views from the top of the walls that once fortified the city from outside attackers are beautiful. I’m talking the blue waters of the Adriatic Sea, terracotta rooftops that are the perfect background to your picture and winding alleyways that you can peek into from above. I won’t lie, the price isn’t cheap to just walk along some walls (okay, they’re not some walls) at 150 kuna I still think it’s worth it. 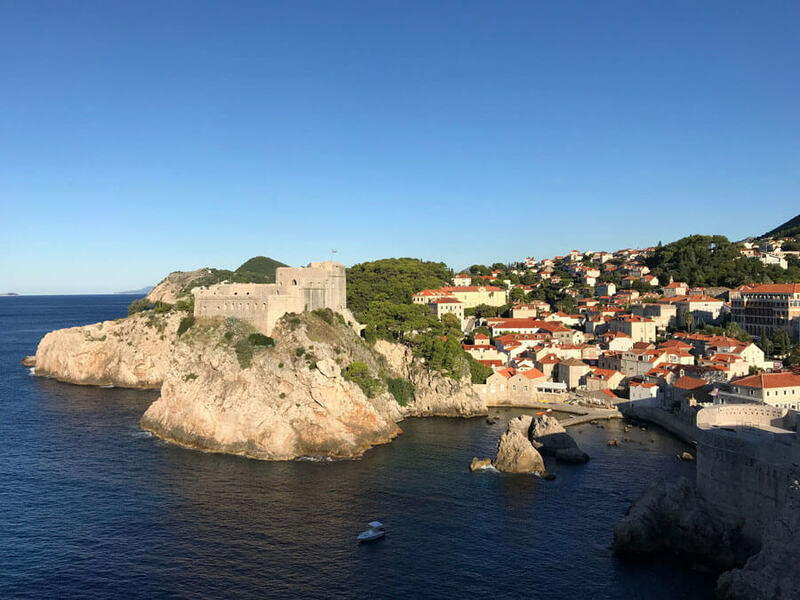 If you are planning on doing a Game of Thrones tour then be sure to walk along the walls on the same day because the entrance fee for the walls includes your entrance to Lovrijenac Fort which most Game of Thrones tours go to. Pro tip: Head to the walls early in the morning, at 8am, when they open so you’ll have to share with less people. Believe me, people get pushy up here all trying to get the same picture! Tour Dubrovnik on a walking tour to find the best spots! Walking tours are the best way to get familiar with a new place and to learn about what to see in Dubrovnik. Plus you get tips on where to visit later. 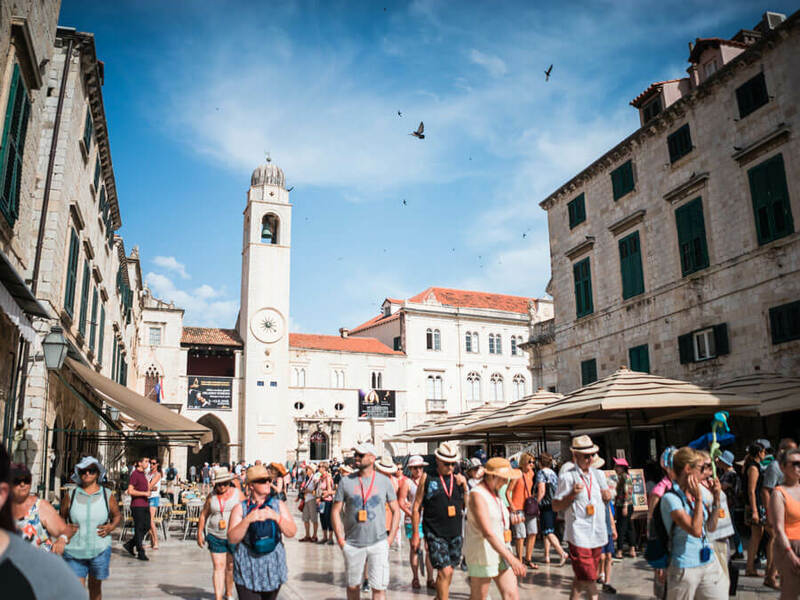 There are multiple walking tours of Dubrovnik’s Old Town, some of which focus solely on the history and some combine history and Game of Thrones facts. Lovrijenac Fort is one of the most popular Dubrovnik points of interest. One of the best things to do in Dubrovnik is to visit Lovrijenac Fort, also known as St. Lawrence Fortress, where you can find some of the best views of Dubrovnik’s Old Town. The fortress will take a bit to get to…there are few stairs…but nothing that’s not doable. 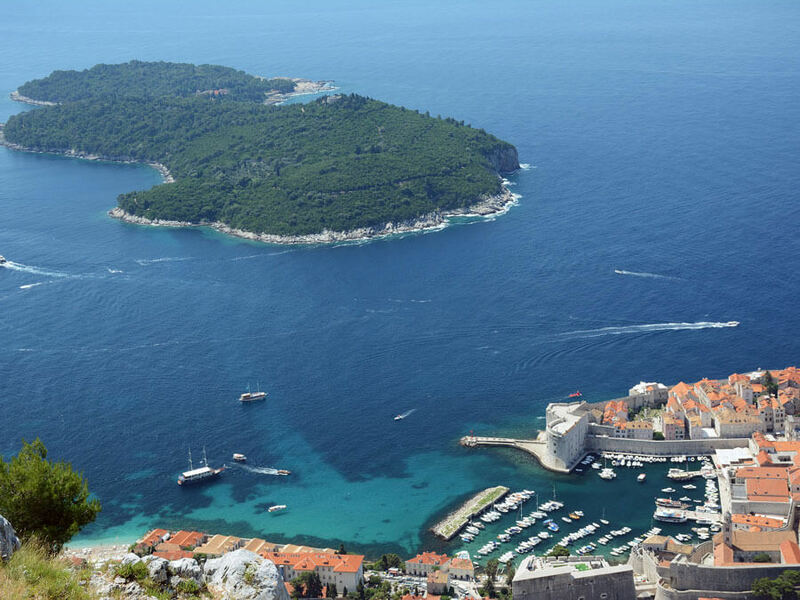 At the top you will see the contrast of the blue Adriatic waters and the stone city walls rising up. The fortress itself sits high on top of a 25 metre sheer rock to protect the city. It’s also a Game of Thrones filming location and is often visited on Game of Thrones tours. 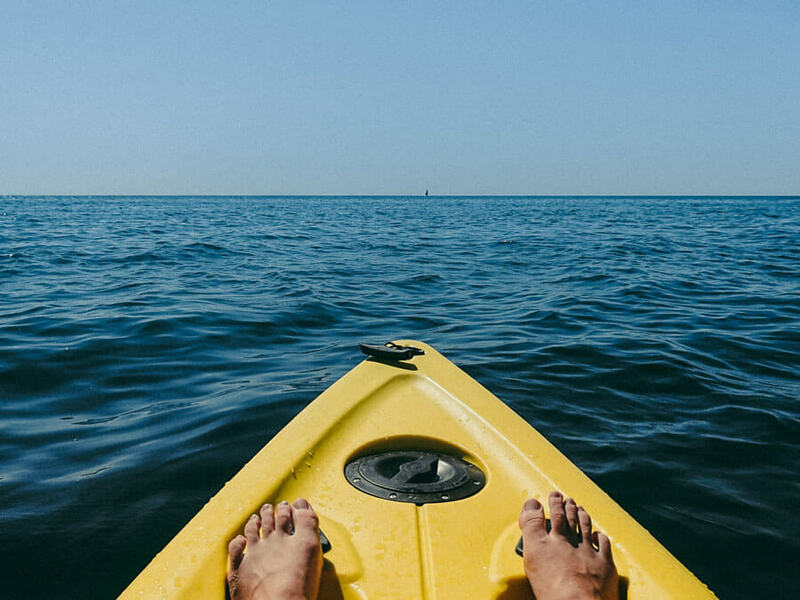 Kayaking is one of the best things to do in Dubrovnik Croatia. There are a few hot spots down Croatia’s Dalmatian coast that are perfect for kayaking and Dubrovnik is one of them. You’ll get the most unique views of the Old Town from the water and you can even catch sunset while out on the water for a beauty of an evening. 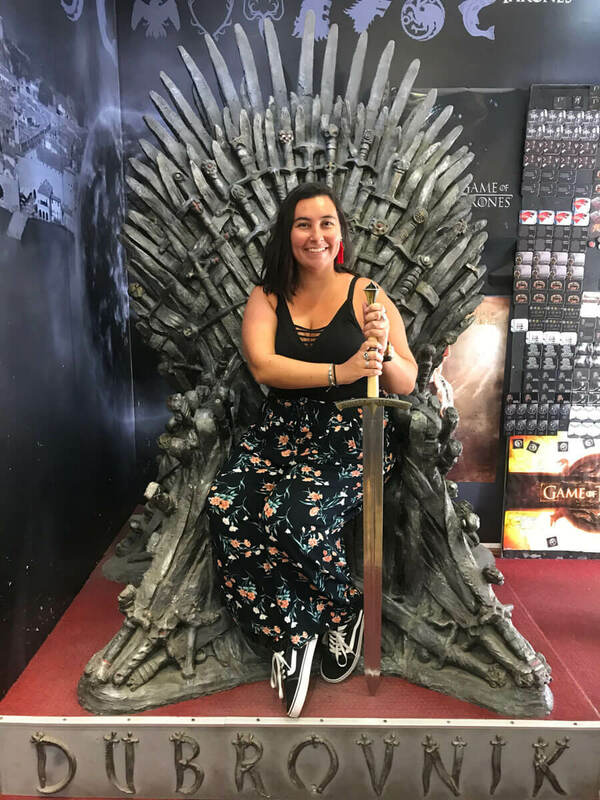 Join a Game of Thrones tour! An obvious choice for any Game of Thrones fans, or for anyone who just loves to know how films and TV are made. I’ve seen all of the episodes but can not remember the characters names for the life of me and really enjoyed going on a Game of Thrones tour. Our guide showed pictures of what CGI was done to change how the Old Town looked and screenshots from the series so you could see the exact filming locations compared to the actual shot. Plus the facts you learn, like just how much people were paid to keep their windows closed while filming, is awesome. Book Game of Thrones Tour! 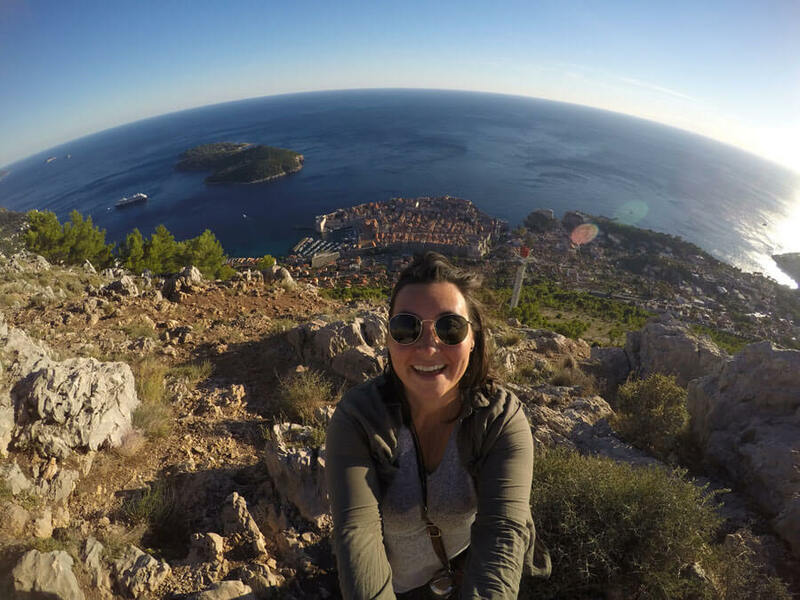 Seeing the views from Mount Srd are a must when you visit Dubrovnik. Mount Srd rises above Dubrovnik just behind the Old Town for beautiful views over the forever sparkling blue Adriatic Sea and the compact Old Town. Sunset is one of the best things to see in Dubrovnik from here as it sets in the distance and the sky looks like a candy coloured wonderland. There are two ways to get up to the summit of Mount Srd, the first is to hike up, it takes about 1 hour each way and is a moderate hike (I did it and I am not a hiker). It does have loose gravel so plan to wear good shoes and make sure your phone is charged if you’re coming down at night because there are no lights. The second way is to take the cable car, which is much easier. If you buy the city card you can save on the cable car and other attractions such as the city walls. Book Mount Srd Cable Car! 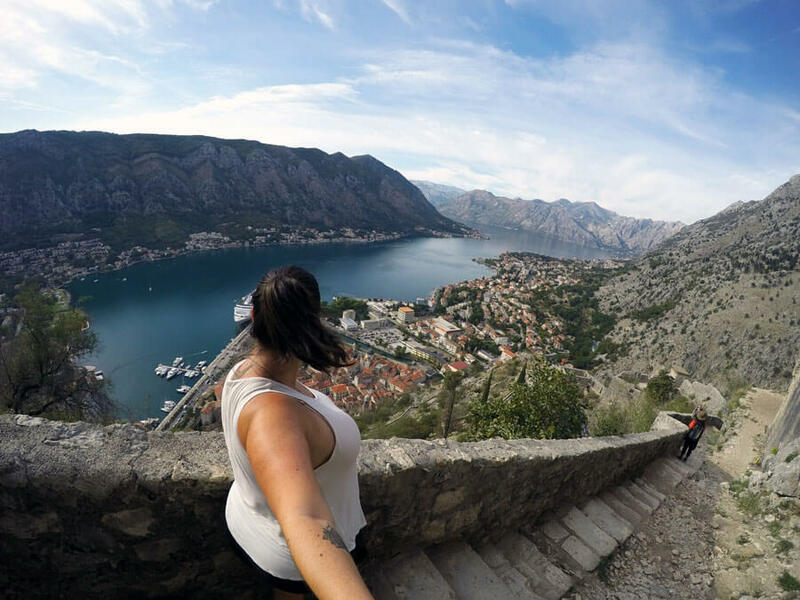 A popular day trip from Dubrovnik is to Kotor, Montenegro. 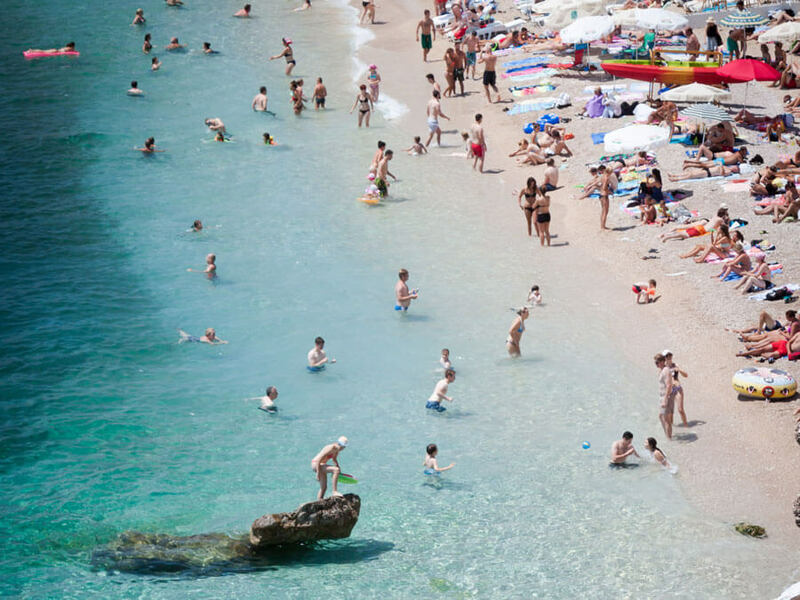 Dubrovnik beaches are great too. One of the best parts about Dubrovnik is that it’s a city with beaches, multiple beaches, and they’re gorgeous. So when you’re done exploring the Old Town and have had enough of the crowds you can make your way over to the beach for an afternoon of relaxation that you can walk to from the Old Town. You can find even more beaches here. Don’t ask me how much I paid for this drink. These cliff bars are Dubrovnik’s hidden gems, literally. To access Buža or Buža II (translates to hole 1 and hole 2) you will have to walk through a hole in the city walls. These holes look like nothing but open up to being right on the edge of the sea with a bar and tables and cliff jumping. It’s one of the best places in Dubrovnik for sunset, but be aware that the drink prices are high so budget accordingly. I almost had a heart attack paying way too much for my drink but the view and breeze were worth it! Lokrum Island is what to see in Dubrovnik Croatia. Just 600 metres from the Old Town is the island of Lokrum, one of the top places to visit in Dubrovnik. It’s the perfect place to spend the day or half a day exploring the botanic gardens, snorkelling, tanning and enjoying the quiet atmosphere of this pretty little island. There are also some Game of Thrones filming spots on the island too. You can access the island by ferries that leave frequently from the Old Town or you can join a kayaking tour that makes a stop here. Hop on board a 16th-century boat, Karaka, for some Dubrovnik sightseeing that includes an evening of jaw-dropping views as the sun sets over the Old Town. You’ll get to feast on delicious Dalmatian cuisine as the water sparkles around you. Sounds dreamy, no? 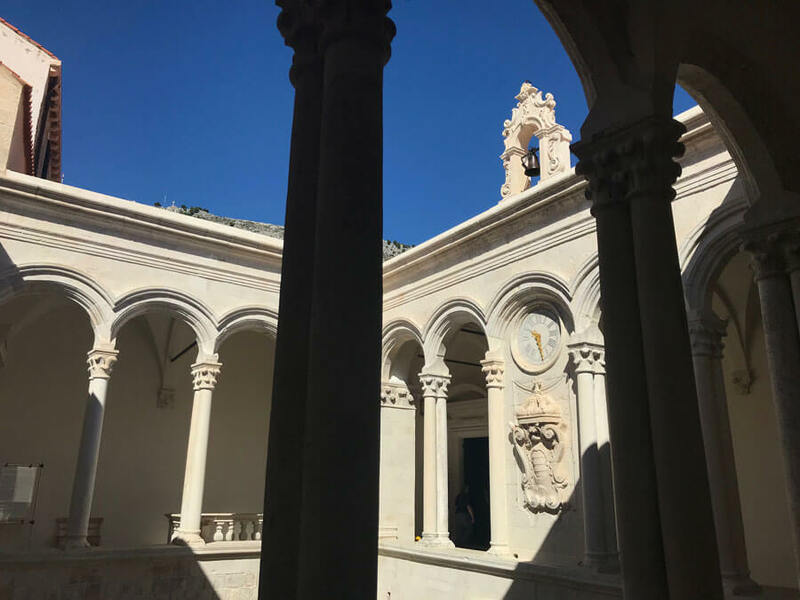 Get in some history in Dubrovnik, visit the Rector’s Palace. The Rector’s Palace holds a ton of history from the city and is an architectural marvel that has been created by a mish-mash of styles over the centuries. 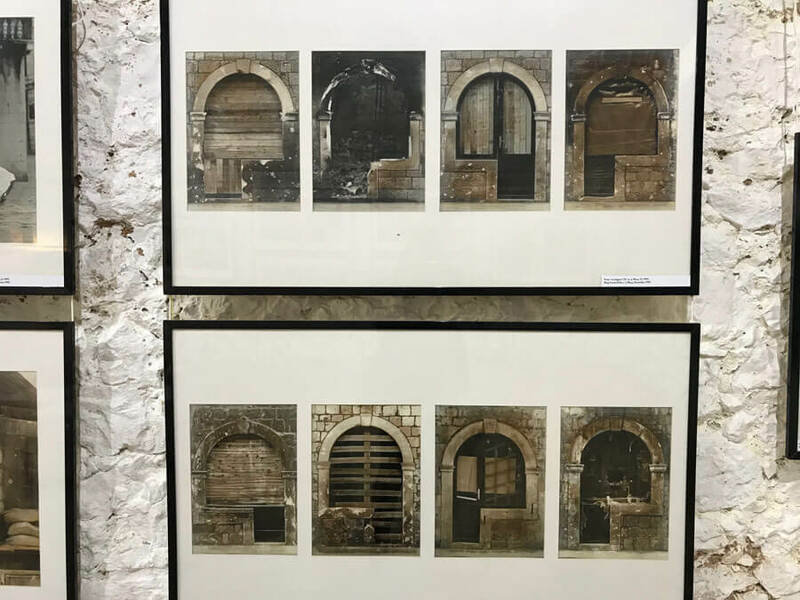 Today the Rector’s Palace is a cultural history museum but in the past it was many different things, most notably where the rector’s private chambers and offices were. 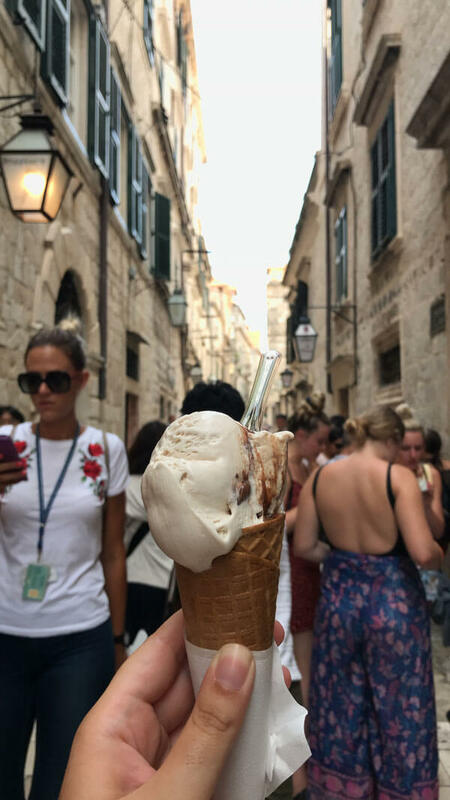 My favourite of all the Dubrovnik activities, taste-testing the ice cream. Croatia is expensive but the ice cream in the country is one of the few things that is cheap and it’s also delicious. The best I had was while I was in Dubrovnik was at Peppino’s. Everyone raves about Dolce Vita which I of course had to try. It was good but Peppino’s is where it’s at. Or just try both, which is obviously the right idea. 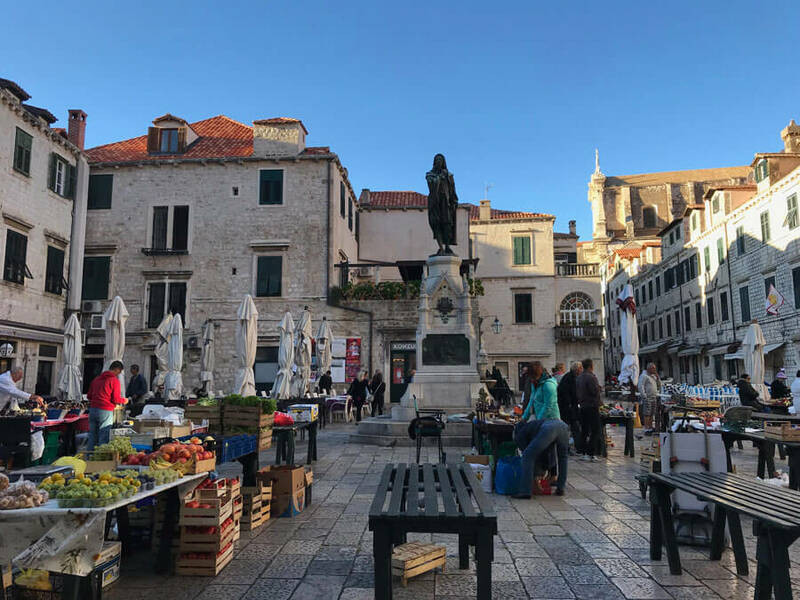 In Gundulićeva Poljana Square there is an open market where you can buy some local souvenirs and pick up some fresh fruits and veggies if you plan on cooking for yourself. Souvenirs include lots of lavender products such as soaps and oils, embroidered linens and more local specialties. I found throughout my entire 3-week trip in Croatia that the war was not talked about much, yet it is a big part of the history of the Balkans. On top of Mount Srd there is the Homeland War Museum which is nothing special but is a very educational experience that gave me a better look into Croatia’s side of the story before going on to visit other countries (Montenegro and Bosnia & Herzegovina) that were involved in the war. If you opt to not do a walking tour there are some Dubrovnik attractions in the Old Town that are the best of Dubrovnik which I recommend you add to your Google Maps and check out. Read my detailed Dubrovnik accommodation guide to find the best places from budget to luxury, hostels to hotels. Heading to Croatia? You’re going to want to read these posts.